Northern Namibia, 19 meters around. The fruits are rich in vitamin C.
A good trick to get the seeds going is to soak them in a cup of hot water. Twins, north of Otavi in namibia. Each three metres in diameter. 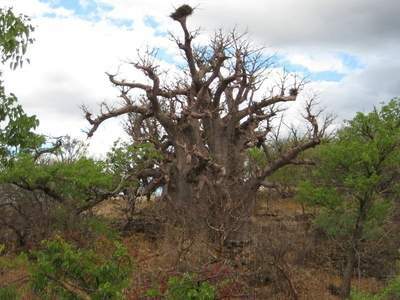 The big and beautiful tree-like succulent appears only in the southern part of Africa (and brought around by Arab traders to i.e. Madagascar and Oman). First described by Carl Linnaeus in 1759. It belongs to the Bombacaceae* family. 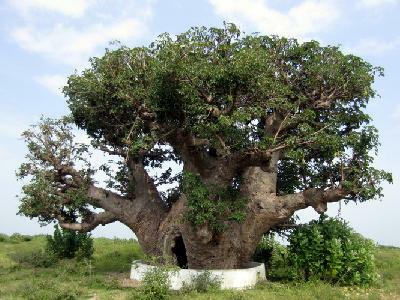 The trunk will get op to 15 meter wide and the tree up to 22 meters high. It can be reproduced by cuttings and seeds. Grows best in a well drained soil, some water and sun in summer and dry in winter. 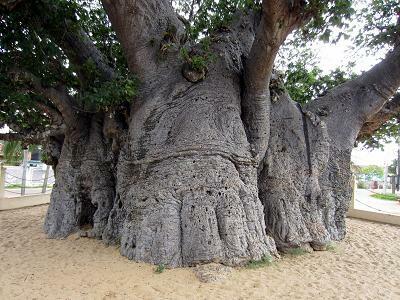 Seeds have been brought by Arab traders to Madagascar and Oman where around 100, up to 2000 years old trees can be found in Dhofar. Those plants have done fine so fare up north, and the biggest have reached a stem diameter of ten meters! There are 6-10 species of Adansonias on Madagascar, one in the South Africa, Botswana, Namibia, Mozambique and one in the Kimberley region (Northern and Western Territory), Australia. Named after the French naturalist Michel Adanson (1727-1806) and digitata meaning hand-like, is in reference to the shape of the leafs. It has gourd/egg-formed green fruits, which can be 12 cm long, with several seeds in a vitamin C hard-foam. 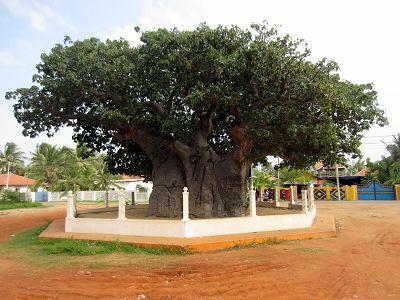 A tree sown by a Muslim in 1477, in northern Sri Lanka. 20 meters around. Three years old, and I have a bush from a cutting. Around one meter tall. The Kirstenbosch tree - in a rainy day. The half year seedlings form a nice, little caudex. 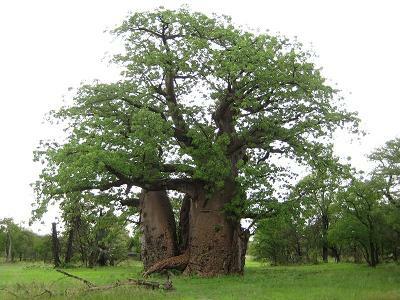 How most non-Africans see the baobabs of Senegal.